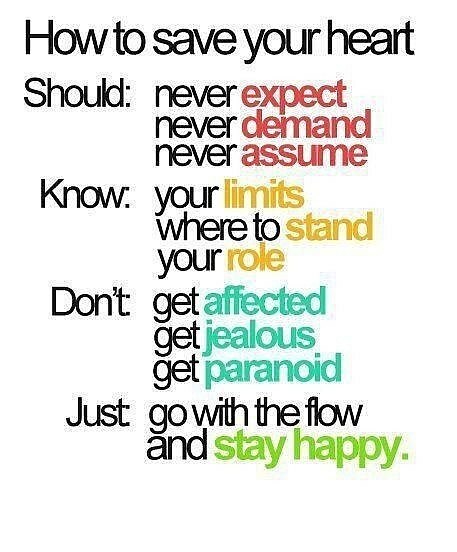 How to save your heart. Should: never expect, never demand, never assume. Know: your limits, where to stand, your role. Don’t: get affected, get jealous, get paranoid. 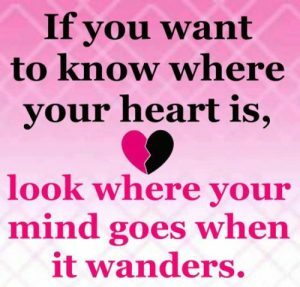 Just: go with the flow, and stay happy.